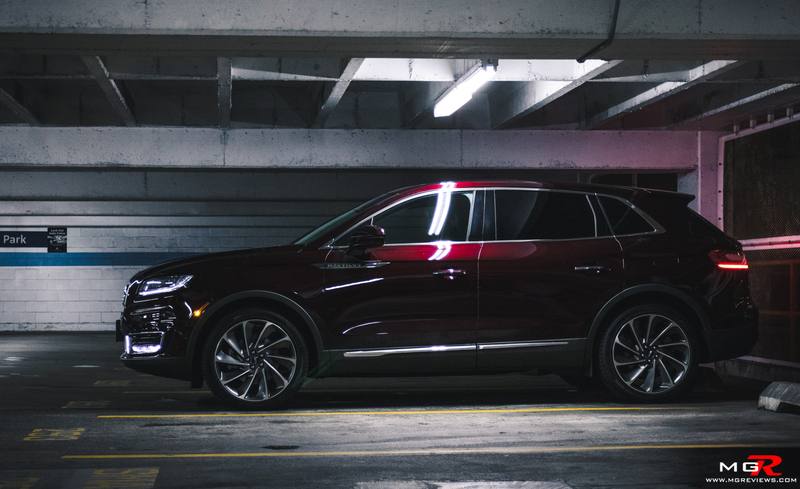 The 2019 Lincoln Nautilus is an all new model, or at least that’s what Lincoln wants you to think. In reality it’s a minor update on the MKX. 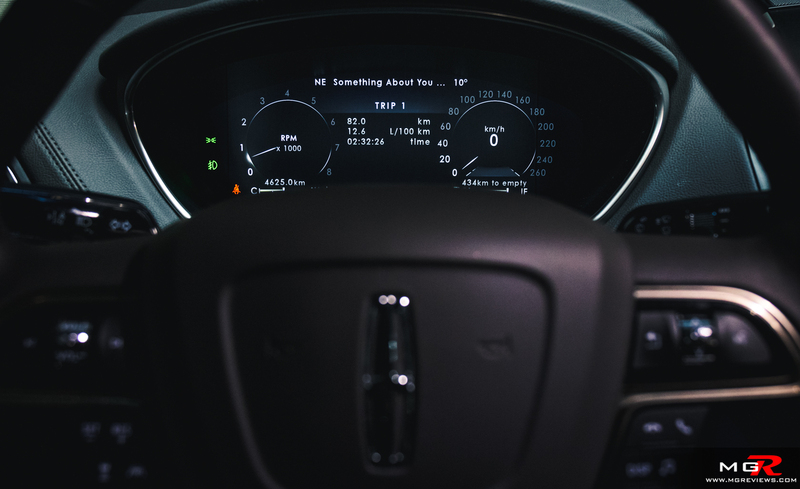 But nevertheless, small updates are how products get better and this “new” Nautilus has been restyled and is now part of Lincoln’s new naming structure to reduce confusion. Engine – A 250hp 2.0L Turbo is now available as the base engine on the Nautilus but this demo has the more powerful 2.7L twin-turbocharged V6. It produces 335hp and 380 lb-ft of torque. That low-end grunt really gets the big SUV moving. With this engine, you’re never wanting for more power. In everyday driving conditions, the rpm needle barely has to move past 2,000 rpms. A good thing if you want to save some fuel. It is officially rated at 12.6 L/100km (18.6 mpg) in a city and 9.2 L/100km (25.5 mpg) on a highway. During my week with the SUV, I managed 12.4 L/100km (19 mpg) which is pretty good considering I let it idle a lot in the mornings to defrost. Transmission – An 8-speed automatic is the only transmission available whether you opt for this 2.7L V6 or the 2.0L engine. Under normal driving conditions, it is buttery smooth when changing gears and fairly responsive when you put your foot down to overtake. In “S” mode the shifts become more noticeable but don’t expect the steering wheel mounted paddles to be responsive. 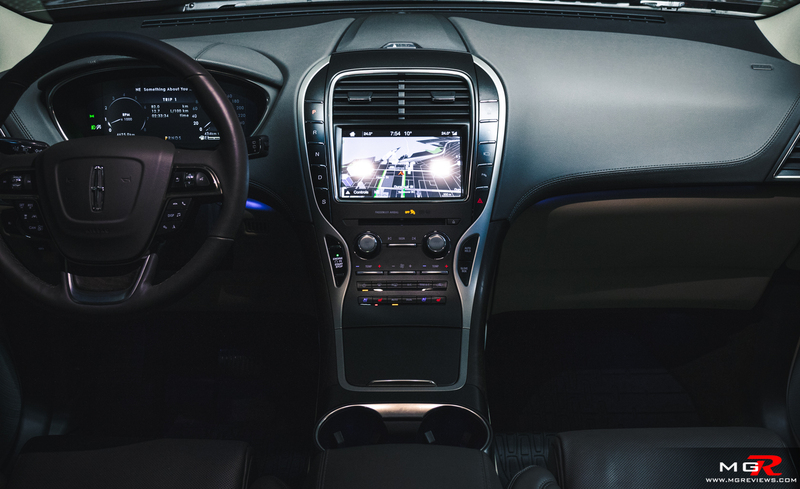 It takes a good 1 to 2 seconds for the transmission to respond to inputs from the paddles. Just leave it in “D” or “S” and let the computer deal with all of the shifting. 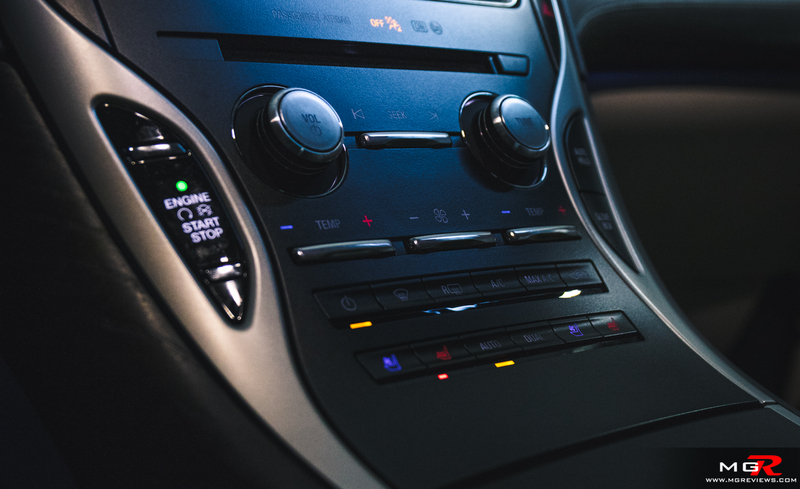 Braking – This being a luxury focused SUV, the brakes have a lot of travel for finite brake modulation which in turn provides smooth deceleration. In an emergency situation, the brake pedal does firm up the harder you push and emergency automatic braking is an available option. 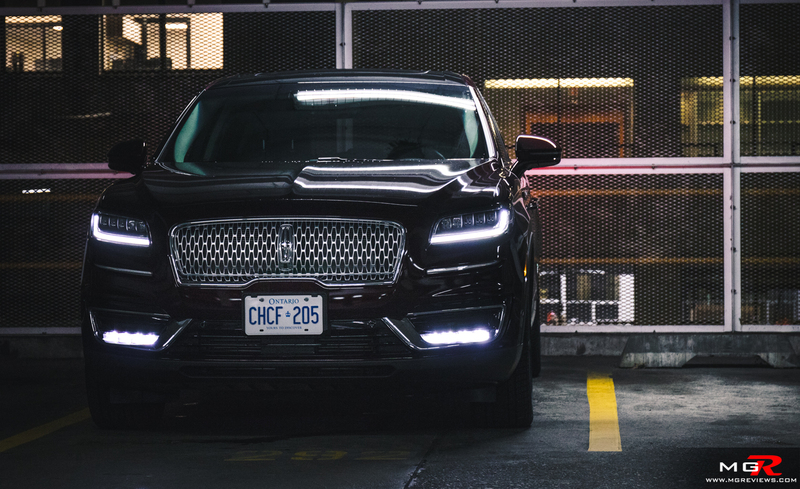 Handling – The big Lincoln is available with adaptive suspension which firms up in “S” mode but to be brutally honest, it’s barely noticeable. This was meant to be a luxury SUV and it does that very well. 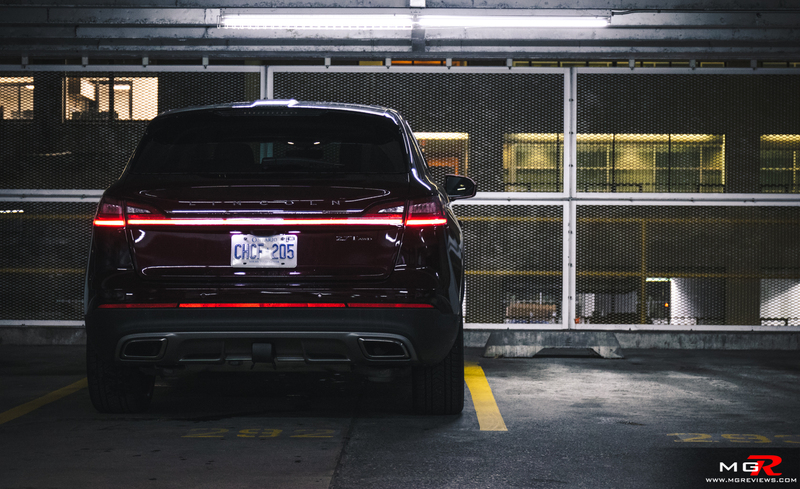 There is a lot of body roll through corners so it’s best to take them slowly and not like as though you’re driving a Porsche Cayenne. 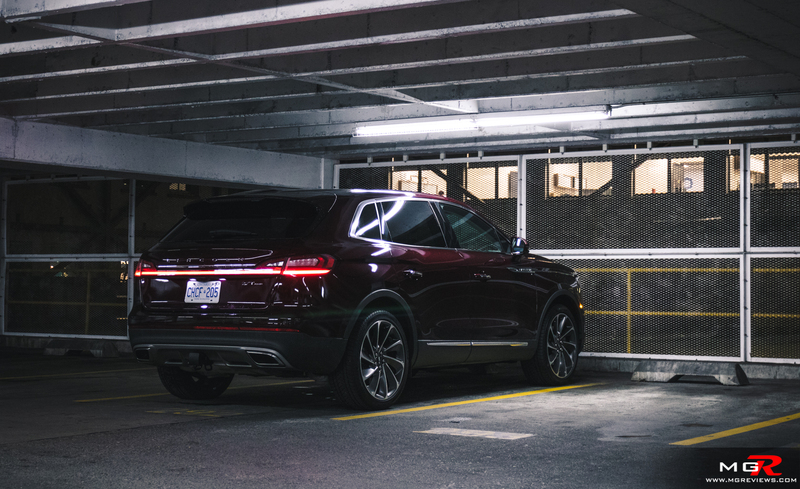 Steering feel and effort is light which is what you’d expect from a luxury SUV. One thing to note however, is that it feels very big behind the steering wheel. 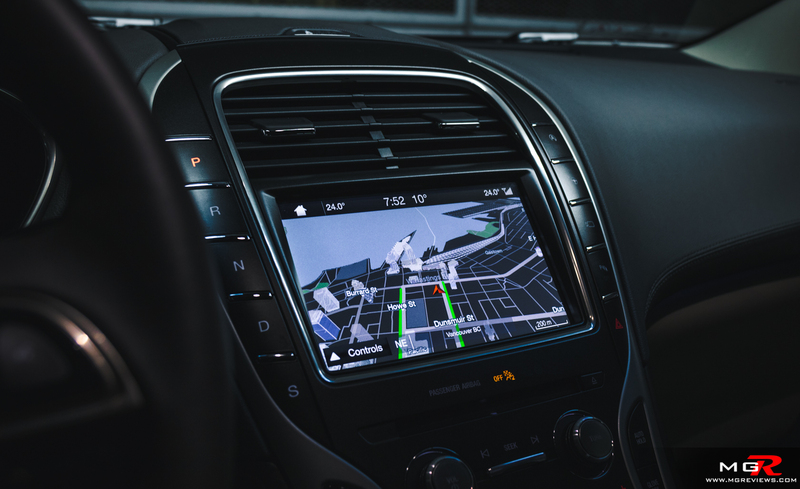 It is a mid-size SUV but it can feel like a full-size, Chevy Tahoe type of SUV in certain situations like driving down narrow streets or tight parking lots. 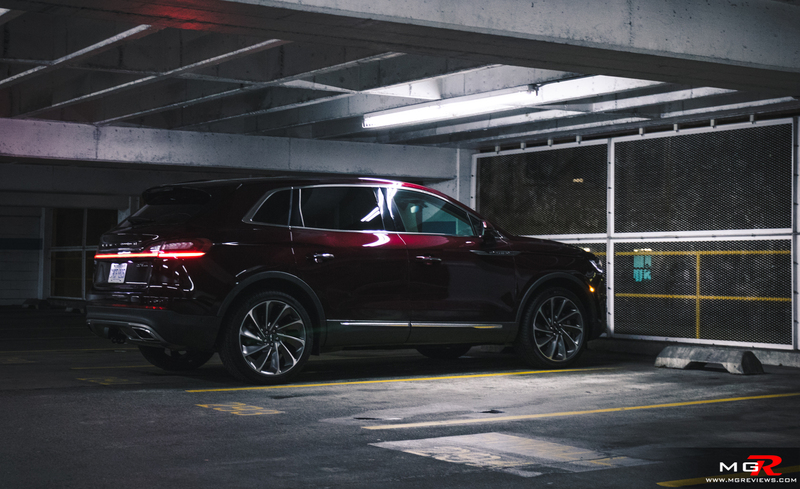 Ride Comfort – As a luxury SUV, the Lincoln Nautilus is extremely comfortable. With the adaptive suspension set to its softest setting, it almost feels boat like when driving over road undulations. “Normal” mode on the adaptive suspension is probably the best mode for most but as mentioned earlier, even “Sport” mode is comfortable over rough roads. This demo version has the optional Ultra-comfort front seats with massaging feature. 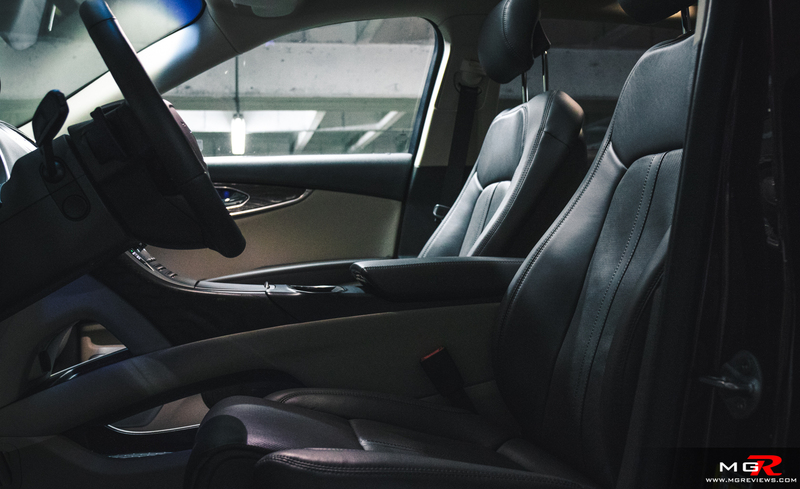 These seats don’t have quite the same amount of adjustability than those in the Lincoln Continental but much more so than in other brand vehicles. I did ask some friends to sit in them and some found them very comfortable while others kept fidgeting. So when you do test drive the Nautilus, be sure to try one that has the standard seats to see which are a better fit for you. Interior Space – Like the Ford Edge that this Nautilus is based on, there is a lot of space for front and rear occupants. Three adults can comfortably sit in the back seats and there is 1,053 L of trunk space behind the rear seats. 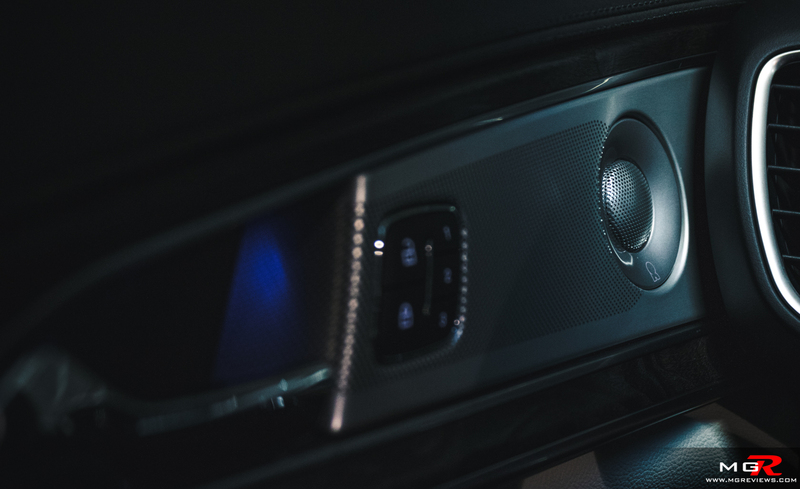 Noise, Vibration & Harshness – Lincoln’s engineers did a good job isolating the occupants in the cabin from the outside world. Road noise and wind noise are subdued even on a highway with the equipped winter tires. Engine noise is also relatively subdued until the rpms climb past 3,000, then more noise is noticeable. Interior Design – The Nautilus has a relatively simple and easy to use interior layout. 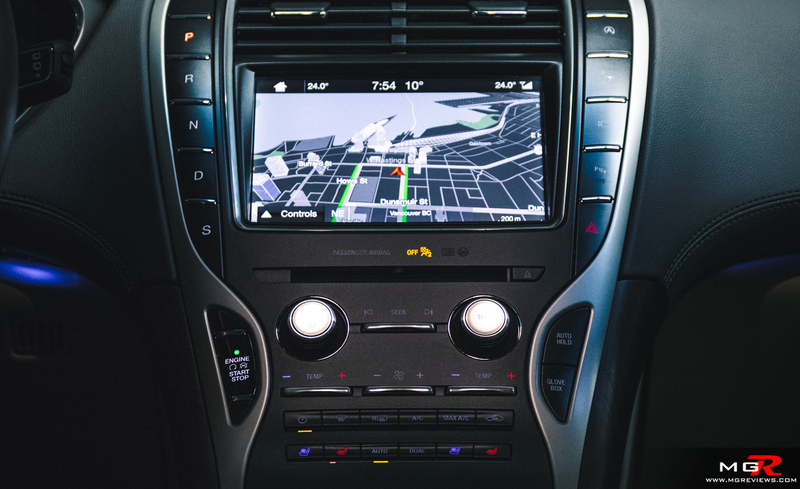 The center touchscreen is not a giant iPad plastered onto the dashboard and not everything is controlled through a sub-menu in the infotainment. 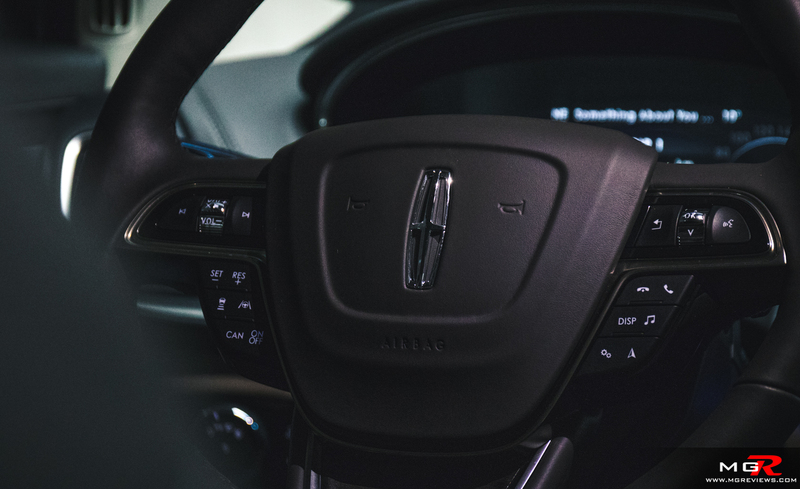 The Lincoln has physical buttons for the climate control and audio controls. It has quite a few steering wheel mounted buttons, a few too many for my liking to be honest. 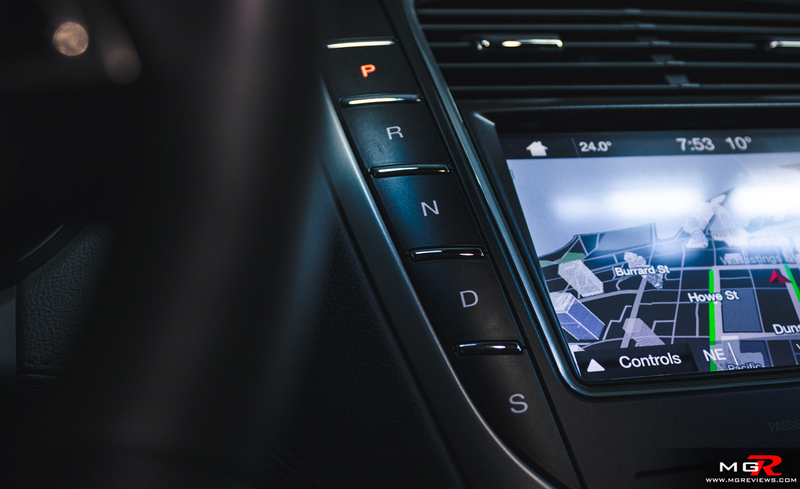 If there’s any criticism about the interior layout it’s that the heated steering wheel button is on the infotainment home screen, it doesn’t have it’s own physical button like the heated, ventilated and massaging seats. 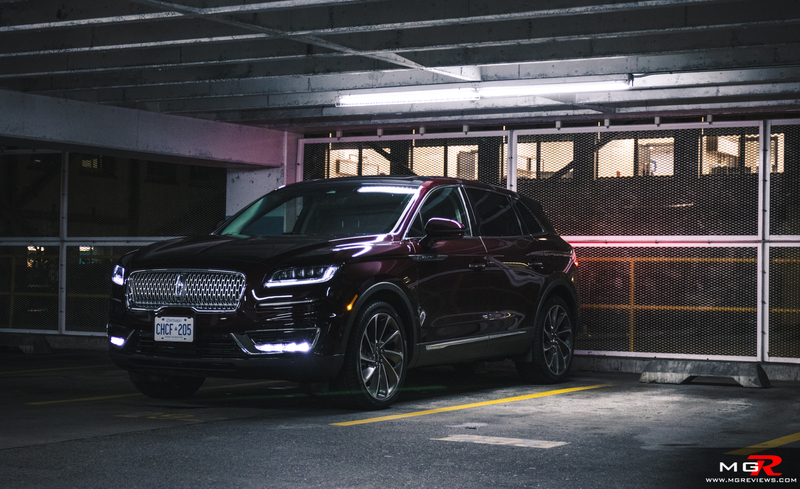 Gadgets – While the 2019 Lincoln Nautilus comes well equipped with what one would expect from a luxury SUV, it can be spec’d with about $10,000 CAD in options. 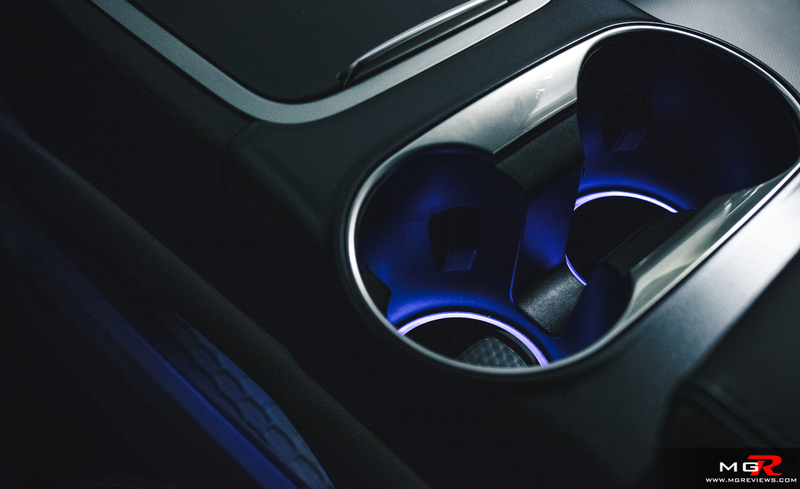 The massaging seats, the Revel Ultima 19 speaker system, the adaptive cruise and driver safety features, the 21” turbine wheels…. All of these things add up to over $70,000 CAD (before fees and taxes). One thing that surprised me is that the Nautilus is not available with a heads-up display. Odd that a $70,000 SUV doesn’t have it. 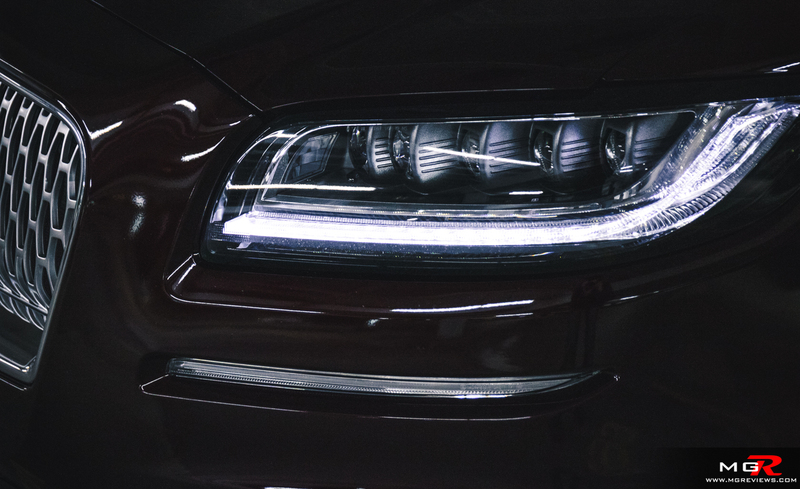 Exterior Design – For the most part the Nautilus looks like the MKX with a few subtle differences. It no longer has the old “wing” shaped grille and instead has the new elegant grille shape that is on the Continental and MKZ sedan. 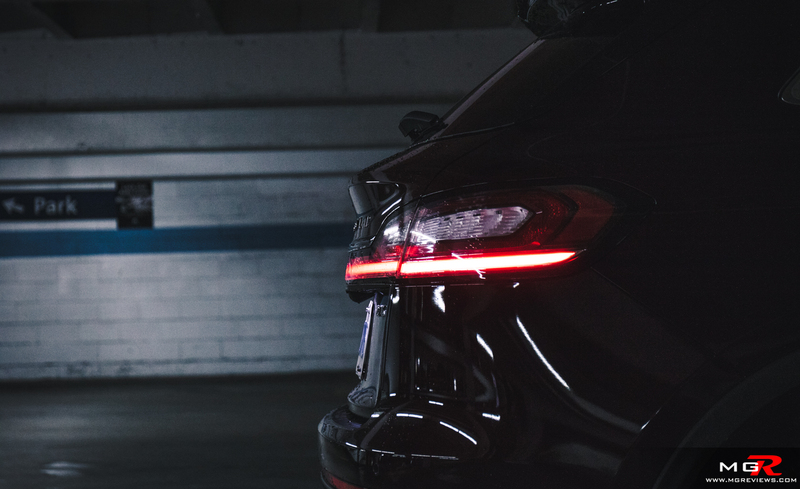 The rear has an LED strip that extends from one end to the other and along the side it has subtle chiseled fenders above each wheel. Overall it is a very good looking luxury SUV. 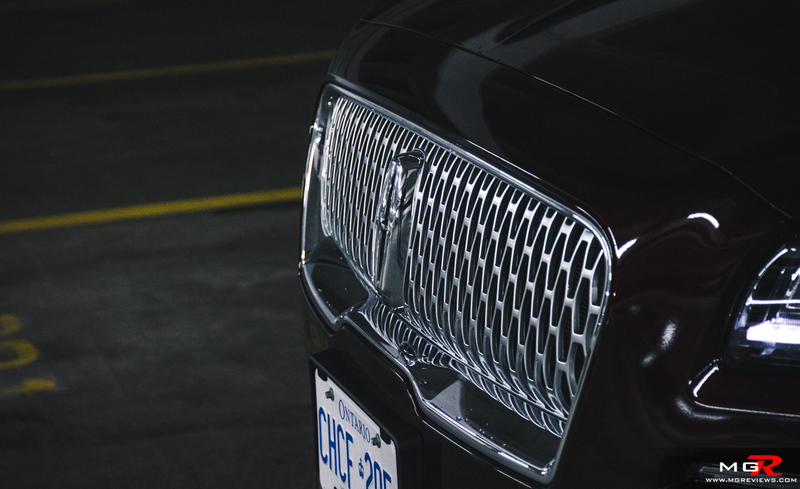 The Lincoln Nautilus is a great luxury SUV. It doesn’t try (too hard) to be anything else. It would be great if they’d remove the steering wheel paddles and the “S” mode for the transmission. No one is really going to be using those features. But other than that, it is a good SUV. It’s just a little on the expensive side. That’s its biggest achilles heel. For this amount of money, competitors would be the BMW X3/X5 or Volvo XC60 or Mercedes-Benz GLC to name a few.